The Monster Energy NASCAR Cup Series is headed to Martinsville Speedway for the STP 500 our Sarah Handy breaks down her picks and who you may want to pay attention to this weekend. Jimmie Johnson: The driver of the No. 48 Chevrolet for Hendrick Motorsports has completely dominated at Martinsville Speedway over the years. In 32 starts at the track known as the Paperclip, Johnson has amassed 9 wins, 19 top-five’s, 24 top-ten’s and led 2,862 laps. He currently leads all active MENCS drivers with wins at the short-track and will look to capture No.10 on Sunday. While Johnson and his 48 team haven’t had the start, most are accustomed to seeing from the 7-time Cup Champion, the driver and team are headed to one of their best tracks on the circuit. They’ll look to continue improving from their 9th place finish in last weeks Auto Club 400 at Auto Club Speedway. With his track record at Martinsville there is no way I can bet against Johnson, even though he hasn’t won the Spring race since 2013 he’s my top pick and I believe he will capture his first victory of 2018 come Sunday. Denny Hamlin: The Virginia native loves Martinsville. Not only is it the driver of the No. 11 Toyota Camry’s home track but like Johnson he has had a lot of success at the Paperclip. In 24 starts at the track Hamlin has 5 wins, 12 top-five’s, 18 top-ten’s, and has led 1,394 laps. 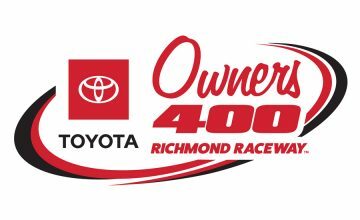 Martinsville is hands down one of Hamlin’s best tracks as well and the veteran driver has had a consistent start to 2018 with 3 top-five’s and 4 top-ten finishes. A win is certainly around the corner. Coming off a 6th place finish at Auto Club Speedway I look for Hamlin to spend his day up front battling for the victory and even though he doesn’t have a victory at the track since the Spring of 2015, it’s a track he knows how to get around and win at. Experience and success will play a key role in capturing the checkered flag. Kyle Larson: I’ve read this past week that Larson is the one to watch this weekend, but I don’t agree with that. Certainly, the driver of the No. 42 for Chip Ganassi Racing has had success early on this season. With three top-ten finishes including a second-place finish at Auto Club Speedway last week, Larson is bound to find victory lane this season. However, I don’t think that victory will come at Martinsville. While Larson has had a consistent start to 2018 his stats at the Paperclip aren’t mind-blowing to where I could see him pulling off a win. 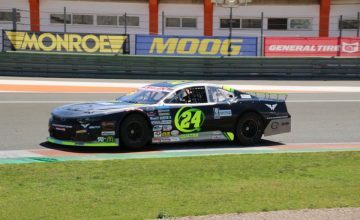 In 8 starts he has an average finish of 23.63 with finishes of 37th, 17th, and 14th in his last 3 starts at the short track. He only has one top-five finish (3rd) coming back in April of 2016 and has only led 23 laps which he led in this very race last Spring. Last fall Larson wrecked and made heavy contact with the wall so he will at least hope for better results this weekend. Larson could surprise the field, but in my eyes, it would be a long shot. I see his first victory of the season coming at a 1.5-mile track, but anything can happen in racing. Chase Elliott: The driver of the No. 9 for Hendrick Motorsports had a shot at winning his first Monster Energy NASCAR Cup Series race at Martinsville last October. Elliott was leading with less than three laps to go in the scheduled 500-lap race. However, fellow competitor Denny Hamlin who had been on Elliott’s bumper made contact with the young driver it sent Elliott spinning up the track and ultimately, he went from leading the race to a 27th place finish. Elliott showed last fall he could lead and run up front at the Paperclip, leading 123 laps, but Iâ€™m not very confident he can pull off the victory this Sunday. In 5 starts at the track, Elliott has an average finish of 20.00. His only top-five finish came back in October of 2016 when he finished 3rd. Kyle Busch: In 25 starts at Martinsville the driver of the No. 18 Toyota Camry for Joe Gibbs Racing has 2 wins, 13 top-five’s, 14 top-ten’s, and has led 1300 laps. He is someone to keep an eye on this weekend. With 3 top-five’s, 4 top-ten’s and 206 laps led early in the season he’s bound to win a race soon. 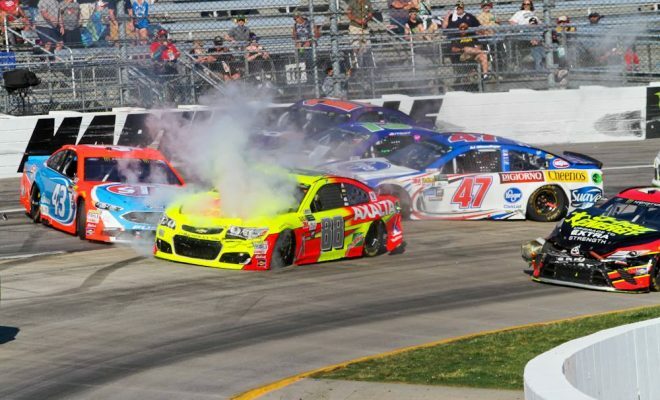 Busch won at Martinsville last fall and hasn’t finished worse than 5th at the Paperclip since an 11th place finish back in October of 2014. Brad Keselowski: In 16 starts at Martinsville the driver of the No. 2 Ford Fusion for Penske Racing has 1 win, 6 top-five’s, 10 top-ten’s, and has led 395 laps at the short track. Many thought Keselowski would find victory lane at Daytona when the season kicked off with the Daytona 500. With that not happening it’s a little surprising the 2012 Monster Energy NASCAR Cup Series Champion hasn’t found victory lane yet. Keselowski has 2 top-five’s, 3 top-ten’s with 50 laps led early in the season. I look for him to spend Sunday in the top-five and play a solid role in anyone’s fantasy lineup with how consistent he’s been at Martinsville over the years. With racing, anything can happen. Keselowski’s lone victory at the track came in this very race last Spring. Who do you think will win on Sunday? Let us know in the comments below and tune into the STP 500 from Martinsville Speedway which is set for Sunday, March 25 at 2:00pm EST on FS1 and MRN Radio. As usual Sarah puts out another fine article. She has some great insight with these drivers. I agree with her pick. Johnson needs a win and this could be the track he turns it around.